It’s not often I get a chance to take my big girl out for a mummy/daughter day. But this half term we managed it thanks to a day out arranged by Devon’s Top Attractions. Our destination was the National Marine Aquarium in Plymouth, which holds the rather impressive title of being the UK’s largest aquarium. This wasn’t our first visit to the aquarium. In fact Tot has been three times now with us and friends. Read about our first visit here. However, this didn’t dampen her excitement when I told her we were heading there again during her first holiday since starting primary school six weeks earlier. For me, and her I hope, it was an opportunity for some rare quality time together. The National Marine Aquarium really is one of those places you could keep going back to again and again. The enormous tanks showcasing species from UK waters, as well as the atlantic ocean and great barrier reef, are changing all the time. 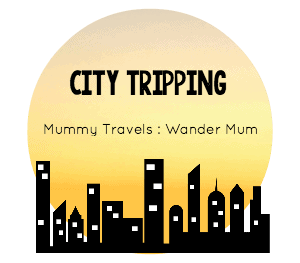 That’s not to mention a calendar packed with events to coincide with school holidays, like the Doodle Days happening when we visited and a special Family Fright Night for Halloween. And when you visit you can return any time within 12 months to take advantage of everything the aquarium has going on. It’s an ideal all-weather day out for rainy days in South Devon – yes, I admit they do happen. 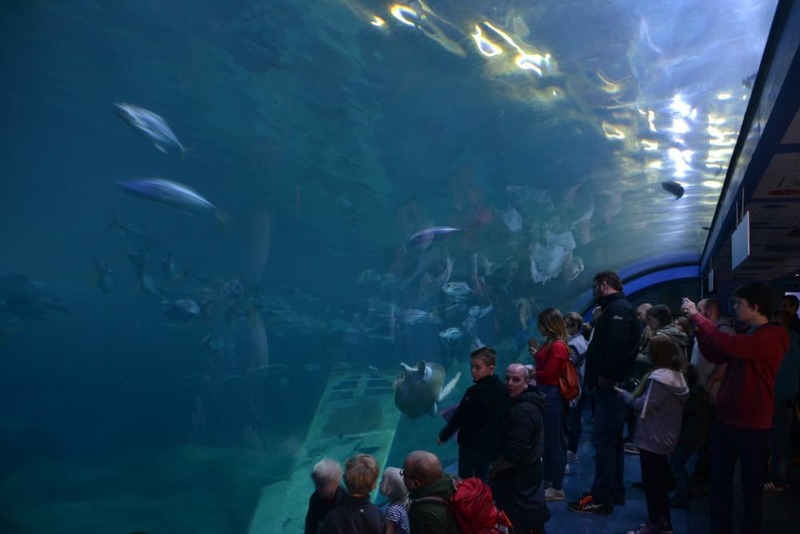 We spent about half an hour sat with our faces pressed up against the glass of this gigantic curved window into the UK’s deepest and largest aquarium tank. At times it was up for debate who was watching who. ‘Friday’ the Green Turtle, who joined the aquarium at Easter, was showing particular interest in the shapes and lights he could see in the viewing area where we sat. The giant sting rays entertained us by gliding across the glass window, while the sharks slid cooly through the water seemingly observing us with their beady eyes. The half term activities happening during our visit included a Doodle Day which meant young visitors were given booklets and asked to take up drawing challenges around the aquarium. Tasks varied from sketching the patterns found on exotic fish to copying the spectacular colours of their scales. There were also glueing and colouring crafts happening in the Creative Centre classroom. We found this a great place to chill out in between concentrating on the activity happening in the tanks. There was just the right balance of interactive exhibits to go along with the huge tanks where we stopped and observed the sea life. 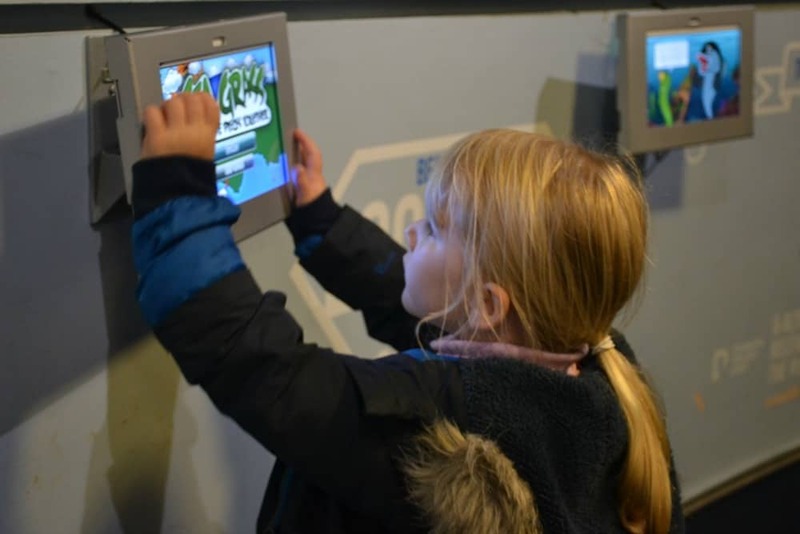 Bulbous windows allowed Tot to listen to the sounds of the ocean inside and interactive displays gave her the opportunity to learn about the important role of sea grass in the underwater ecosystem. Some of this might have gone over her head but she was keen to give the educational Q&As a go. 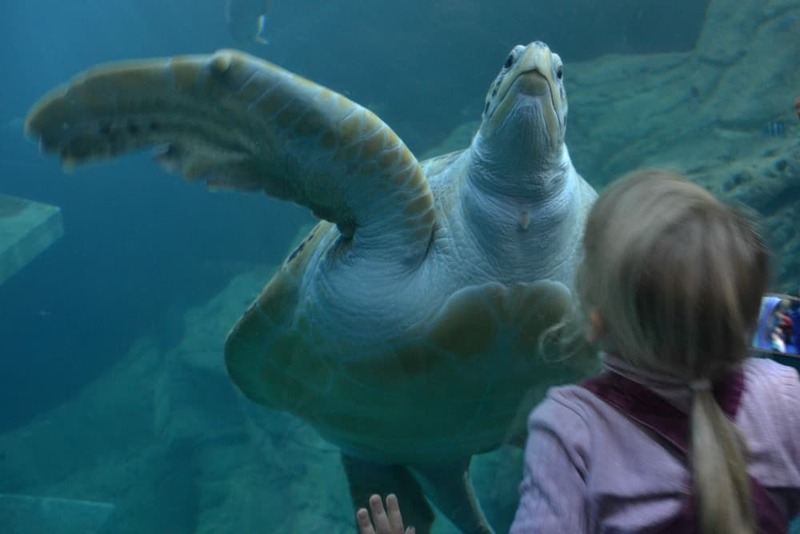 As well as wandering around the UK’s largest aquarium at your own pace you can also see several daily shows and talks. If you have older kids then I’d recommend trying to plan these into your day to get the most out of your experience. You can find out the timings for these in advance by taking a look at the aquarium’s website. 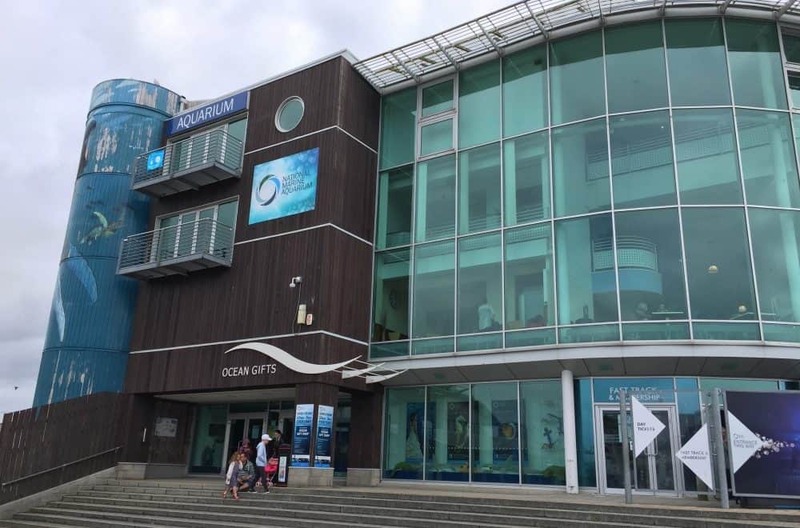 This is situated on the first floor of the aquarium and has panoramic views out over Sutton Harbour, the Barbican and Plymouth Sound. The owners of AA Rosette restaurants would kill to be in this location. But unlike what you might pay in an al a carte eatery the menu is extremely well priced. For just over £8 I had a large bowl of salad with pasta and a soft drink, while Tot picked five items to put into a children’s picnic bag. In keeping with the conservation values of the aquarium, the cafe has laudable policies to reassure customers that their food is freshly prepared using products from local sources. There’s plenty of parking in Harbour Car Park, which is a pay a display just a sort walk from the National Marine Aquarium. It isn’t cheap at £4.20 for up to three hours or £7.50 or up to six hours. The aquarium recommends that you allow up to three hours for a visit but we spent over four hours there. Be aware that you have to pay for your ticket in advance and can do so with cash or a debit/credit card. What’s your favourite day out in Devon? 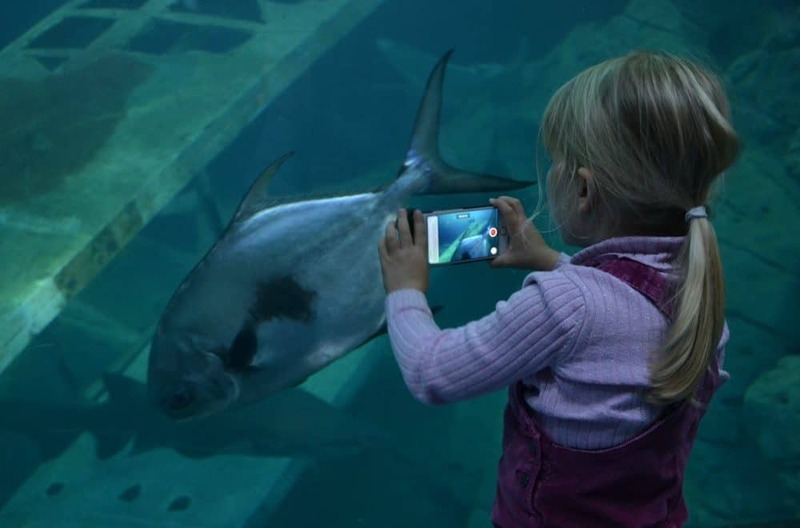 Have you visited the National Marine Aquarium? 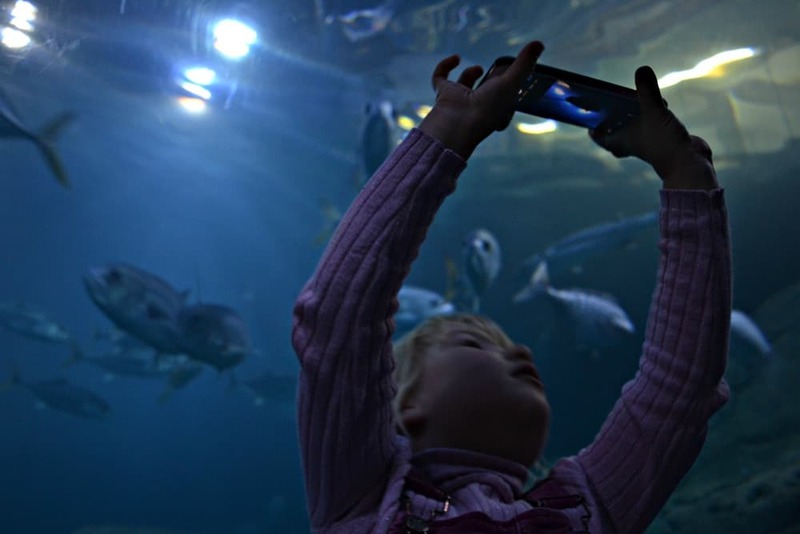 Disclosure: we were guests of the National Marine Aquarium and Devon’s Top Attractions. All opinions are my own and those of my family. wow this post has made me want to go Plymouth this weekend with my god son. pictures look amazing. We had such fun here when we visited, almost exactly a year ago on a torrentially wet day – the doodle pads were a massive hit with my daughter as well. We weren’t the only ones with the idea of hiding from the rain but it was well worth the queue.